This will add class to any room in your home. Picture does it justice. Illuminate your space with a touch of contemporary style. 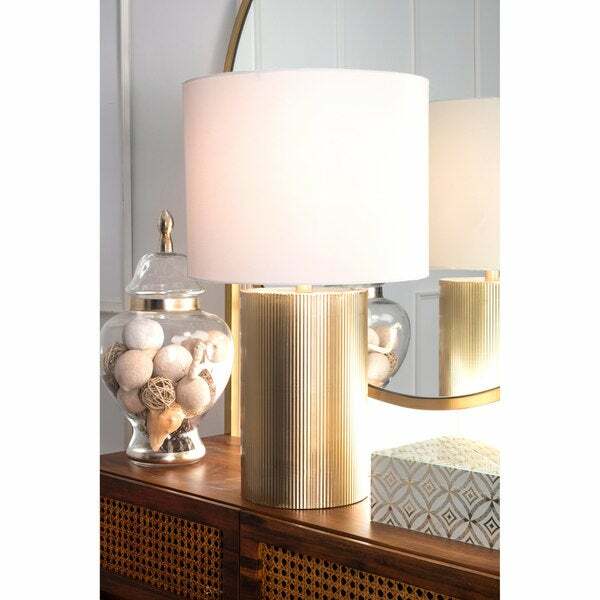 Warm and luminous, with a golden iron cone base, this lamp will make a refreshing and stylish addition to your space.